Download the following free children’s church lessons from our Kids in Ministry Curriculums, use them in your church, and share with others. We hope by doing so you will consider purchasing the full curriculums for your children’s ministry. Download all of these outstanding Kids in Ministry curriculum lessons, and you will quickly see what makes us different than any others in the marketplace. Each averages 13 to 17 weeks of material. Many users tell us they are not able to complete one lessons a week because there is so much good material in them. They typically get two weeks of material out of one lesson. Our Amazing God Simple children’s church lessons covering 5 basic doctrines: salvation, water baptism, communion, the Trinity, baptism in the Holy Spirit. Hearing God’s Voice Hearing God’s voice is a critical part of every Christian’s walk with the Lord. Childhood is the perfect time to learn it. It may someday save their lives. There’s Power in the Blood Understanding the Power in the Blood of Jesus is critical to Christian faith. Children need to know There’s Power in the Blood of Jesus. I’ve Got Good News! The message of salvation in Jesus is a bundle of good news our kids to know for themselves, but also for sharing with others. It’s a supernatural adventure. Prayer Power! 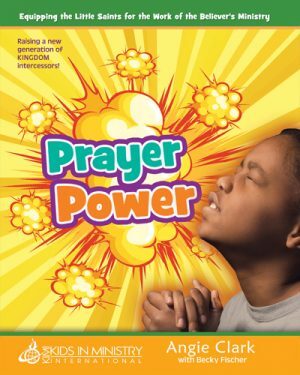 Prayer Power is about teaching kids to pray life-changing, Holy Ghost shaking prayers that shifts things in the spirit realm changing people and nations. I Can Heal the Sick I can heal the sick. Kids are not satisfied to know that Jesus or grown-ups can do it. It’s something kids want to experience for themselves. My Jewish Roots If we don’t understand Israel, we can’t really understand our Christian faith. Jesus wasn’t a Christian. He was a Jew. Kids need to know our Jewish roots. Preschoolers in His Presence Preschoolers in His Presence – Yes! It can really happen. 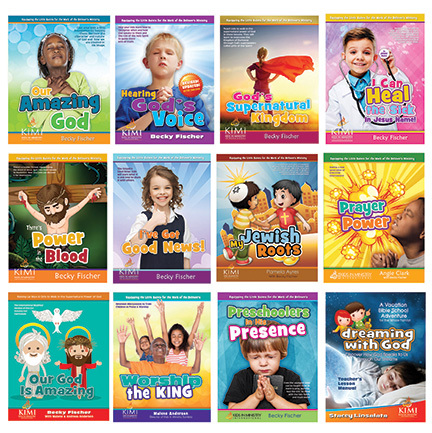 Preschoolers can be saved, filled, hear God’s voice, heal the sick, and more! They learn quickly! Worship the King Train a generation who will worship the King with reverence and awe, and develop an intimate relationship with their heavenly Father through worship. preschoolers package and how much does it cost. I live outside the States, please can you tell me what you use for the ‘invisible God model’. We can no longer get them here in the States as well. do you have Barbie and Ken dolls in your nation? We have since used 3 Ken dolls and dressed them in bible costumes: God in gold, the Holy Spirit in white, and Jesus in blue or red. You can also use large water bottles for bodies, and clothe them the same way. They won’t have arms, you can create a head out of clay or a small ball. Hi Becky, I’m so excited to have these free samples. I’m opening a child care in my home and will use this curriculum as part of my program. Eventually I will purchase a whole curriculum. I’m very thankful for your heart and love of God. I brought a group of children from my church years ago to a conference to Kansas City, Mo. I’m glad you decided to stay with children all those years ago when you were asked to help out! Blessings to you! Thank you so very much for this opportunity to give away these lessons for free. what joy in my heart. We have downloaded them all and hope to be studying and using them. I have heard great things about this curriculum excited to check it out! Do you have these materials in Spanish? Thank vou for these lessons! I have spent some time at your site but I do not have an account with Pay Pal. I have a debit Visa card domiciled in my account in the USA (though I live in Nigeria so I can pay for my stuff for ministry for our children work and missionary work in Africa. I wrote your rep. in Ghana but either he did not get the e mail but I have not received a reply. Please help and kindly contact me on my email. Am deeply grateful that you are generous. Am just wondering how long it would take to order the kits and get them safely into many parts of the world like my city. This a vision we have pursue for years but just learning to get to youths and children. Are there ministries like this for 13-21 year olds? If we had been trained this way from our youth what a difference we could have made…but we can’t leave our children in the same shackles after reading and learning from Becky and John and their staff. Thank you. Depending on the item, it takes 2 or 3 weeks. Shipping is so expensive, so we offer PDF downloads to get them as cheaply as possible.